Is the airline industry doing everything it can to maximize profits, even to the detriment of passengers? Ticket prices up, seat sizes down, extra charges for almost anything that can be turned into a profit center -- everything seems to be fair game for the airline industry. While industry-wide revenues from passengers grew 9 percent in 2017 -- leading to earnings estimated at $581 billion -- flyer advocacy groups are saying it’s a win-lose situation for consumers, who are getting the short end of the deal. And there’s even more on the horizon for airlines if the Trump administration’s push for deregulation sees the light of day. Over the last four years, the seven largest U.S. airlines have averaged $19.65 “profit per passenger” per one-way trip, according to the Wall Street Journal. That’s up from an average post-tax profit per passenger of $2.05 in 2012. 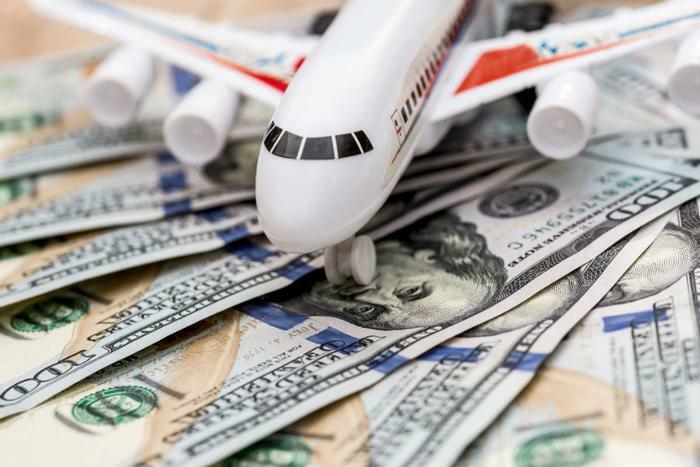 While $19.65 seems like a fair amount, it’s the gravy that’s churned out of everything else -- from seat upgrades and baggage fees to high-priced in-flight services -- that might raise red flags for consumers. American Airlines charging $75 for award tickets booked less than 21 days prior to departure. You may have thought that every trick in the book has been tried, but not yet. Nearly 50 airlines are now holding auctions for upgrades to business and first class. Some carriers are even considering ripping out the chairback entertainment screens on the assumption that most flyers carry a digital device they can use. In turn, using those devices might call for internet access, which the carrier is probably more than happy to sell them. To make matters worse, third-party airfare aggregators like Kayak, Momondo, and CheapOair might also get yanked to the chopping block. “The airlines are working to eliminate providers of independent travel information through actions including withholding schedules from consumers’ favorite travel websites, or refusing to allow them to display airfares, which are public information,” Kevin Mitchell, Chairman of the Business Travel Coalition, told ConsumerAffairs. With airline profits clearly above the clouds, has the industry’s eagerness to fill seats gone too far? There are flyer advocacy groups that think so, and they are trying to keep carriers mindful that the passenger deserves better. FlyersRights.org has crafted a “passenger bill of rights” that ask for changes on everything from seat size to compensation for excessive flight delays and cancellations. The organization has also proposed several reforms to improve passenger well-being and deal with common issues that often occur in airports. Those requests include ending the ability of airlines to overschedule flights at popular times (which often creates chronic delays and deceptive schedules) and encouraging the use of larger aircraft to reduce congestion for long haul flights. Recent estimates show that total airport revenues have grown nearly 50 percent since 2000. Does anyone really care about the passenger? One would think that United Airlines’ public relations calamities, which include a passenger getting dragged off a flight and the recent death of a dog, would raise some industry concern on the perceived value of a customer. However, advocates say that getting the attention of airliners is like rolling a boulder up a mountain. But despite the Trump administration’s desire to deregulate the airline industry and kowtow to their wishes, there’s one congressperson who’s taken up at least part of the fight. U.S. Senator Susan Collins of Maine is spearheading an effort that would require the U.S. Department of Transportation to clearly disclose charges for airline fares, baggage fees, itinerary changes, and anything else that might cost travelers money.